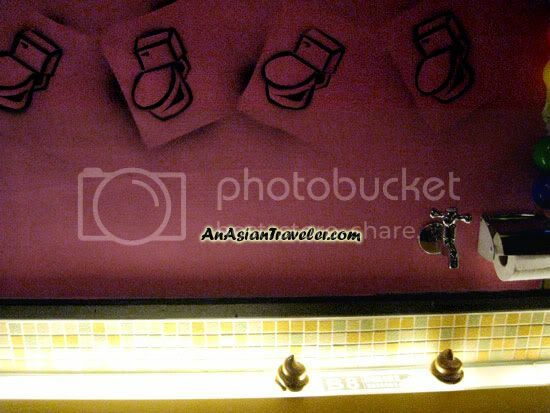 To some it may seem outrageous and bizarre but honestly my main reason why I wanted to visit Taipei, Taiwan was to dine at Modern Toilet. I read a couple of articles about this place and decided to try it out for ourselves. I made sure to tell HB that this should be the top priority in our itinerary. However, I never imagined looking for this place would be an arduous and exhausting one. Because of the continued heavy downpour we had to endure a grueling one hour at the subway station. Plus we found out that we had the wrong address. HB spent quite a long time in the internet looking for some information. Good thing we were able to get in touch with the right person from the Modern Toilet. You might fail to notice the outside appearance of the Modern Toilet as it looks more like a small novelty shop with display of key chains, toys and poo-shaped merchandise. Upon entering the restaurant, our unique experience started immediately. The place is awash with modern decors and quirky toilet furnishings. The interior is cute with bright colors - hues of yellow, red and light green with nice lighting, a warm and cozy ambiance. It was busy but not too crowded, mostly younger crowds and families with kids. We were promptly seated near the entrance door, but after a few minutes we changed our mind and decided to dine on the second floor. Since Modern Toilet is a toilet-themed restaurant, we obviously seated on Western-style commodes with colorful and lovely design of transparent resin seat cover. And our table was a double sink with a glass cover. I enjoyed how they paid attention to the smallest details from the table napkins (a paper roll on toilet holders mounted on the wall) to golden turds dotted around the area, and shower curtains as embellishment. Oh, and they also have bathtub tables for larger groups. 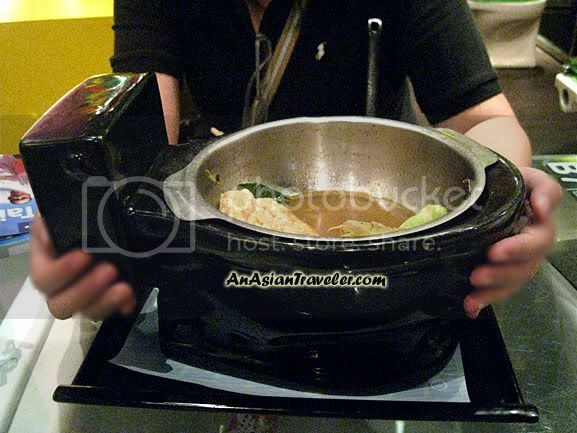 HB opted for the "Modern Toilet Combination Hot Pot" NT$ 250, a rich savory beef soup with loads of vegetables as well as other ingredients complemented with rice and hot sauce. Most themed restaurants often tend to focus solely on the "theme" itself to attract hordes of curiosity seekers rather than cuisine. So, we came in here with no expectations about the food but surprisingly we were extremely satisfied with our choices. The dishes were all well prepared, flavorful and seasoned perfectly. The serving was HUGE and it was indulgently satisfying. 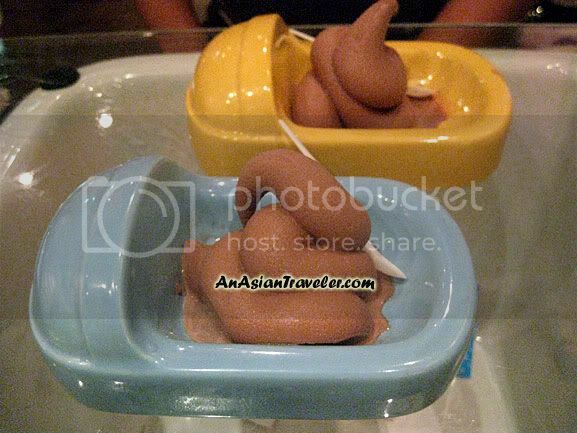 Finally, to complete the entire set meal package, we both had a free dessert - Chocolate Ice Cream that looks like a feces-shaped or poop-shaped served in miniature "Asian squat-style toilet" bowls. 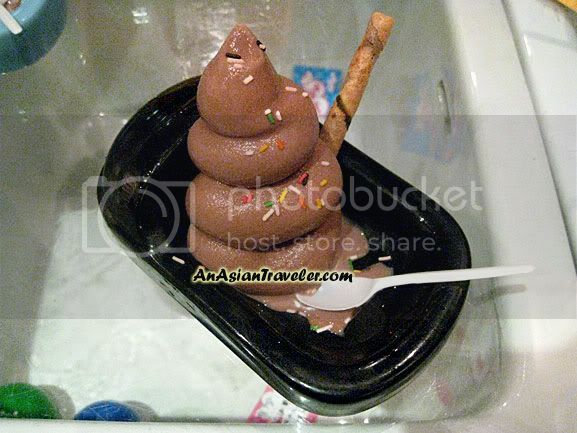 Diners also have an option to order an "Ice Shaving", an ice cream loaded with all sorts of mix-ins and large crushed ice that looks similarly to a big pile of poop. Oh dear, I was already full when my extra order arrived - Chocolate Ice Cream with Chocolate Sauce NT$ 100. I wasn't able to check beforehand about the free ice cream in the set meal package. Anyway, since my main food offering left me most satiated, I only tried a couple of bites. We also had Iced Tea served in normal plastic cups. However, patrons can also try their drink that comes in urinal bottles. 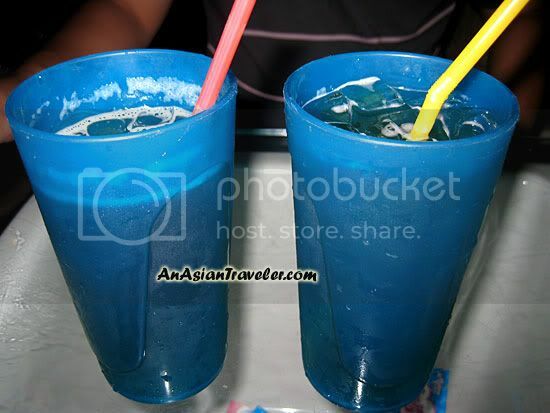 Drinks offered in the restaurant include teas, colas and juices. 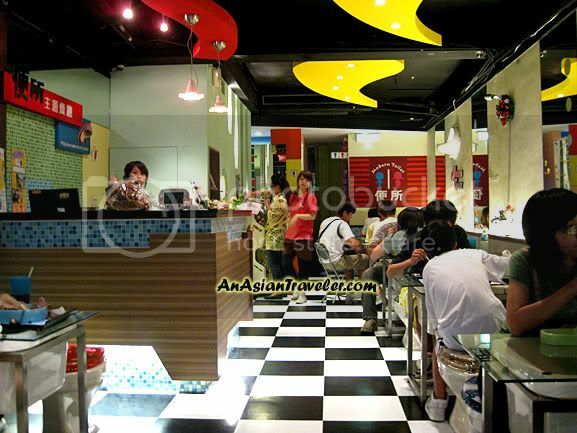 Prices range from NT$ 90 to NT$ 160. The toilet decors and porcelain toilet wares may seem eccentric, outrageous and strikingly unconventional to whet a diner's appetite, but amazingly it never really grossed us out. It was rather more fun and entertaining. All in all, our unique dining experience was a joy. The restaurant's authenticity and the painstaking attention to detail are just remarkable. It's something that deviates interestingly from the norm. Prices are quite friendly on the wallet. What's more, service is great and the servers are young but nice, courteous and accommodating. 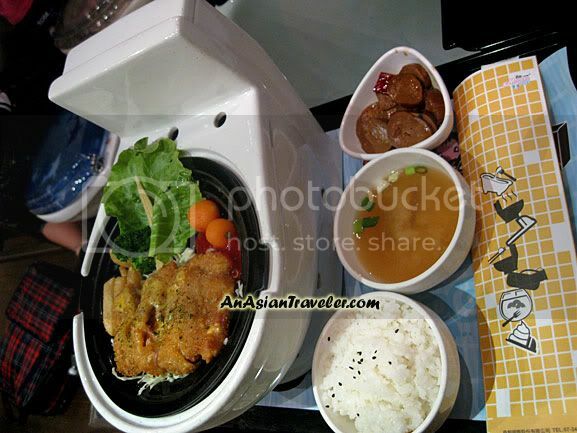 We're looking forward to visit again the Modern Toilet Restaurant next time will be in Taipei. I love that Ice cream. I can't imagine myself eating it away, hehe, exciting... interesting post you have here. Very cool. I love the ice cream. but im sure it's very popular there and it really catches the people attention. 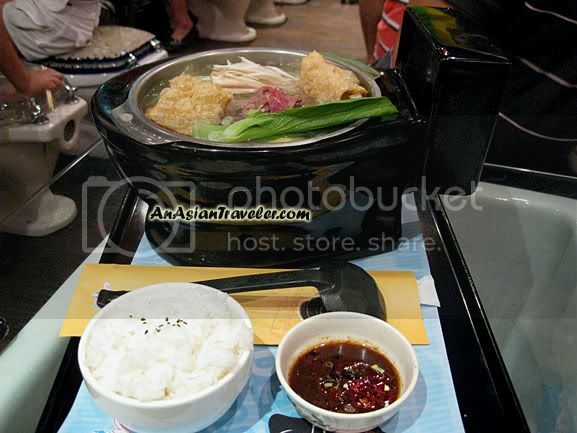 Stinky tofu would be a very apt dish to serve in a restaurant like that! :D But I seriously doubt if I can swallow any ice cream served that way...no matter how much I love ice cream! 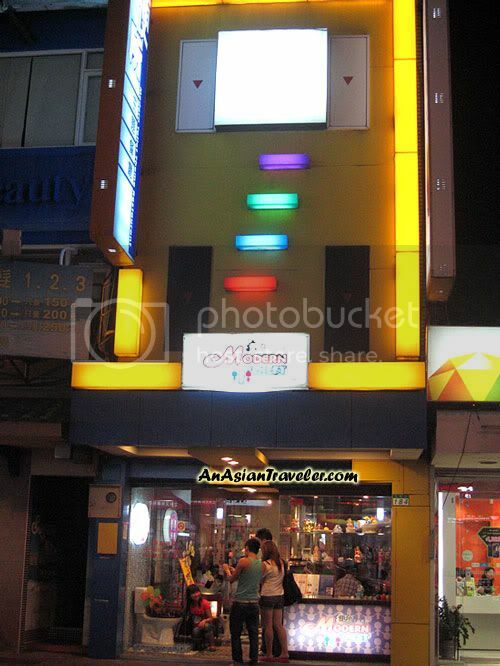 when i was in taiwan, i never visit this place. looks interesting! so how does the ice cream taste like? lol. arhh...... dun think i can sample the food. Likely I will think of somethign else when eating it... thanks for sharing though..... Taiwanese are so 'creative' !! HAHAHA!!!! I think it's cool! Oh, if only I could celebrate my next Bday there! Would be a blast for sure. I love your posts and I wish I could travel as much as you do. Keep writing! Hahaha, you really do your homework before going to Taiwan. OMG, I dont think I have the courage to try the ice cream...lol. This is by far the most bizaare restaurant I've ever seen (courtesy of your photos). I wonder if they even have branches. I would like to try the ice cream, looks yummy. A very unique funny concept of a restaurant. I don't think it's the food that primary beckons customers but rather the curiosity to the place. The ice cream looks so yucky! 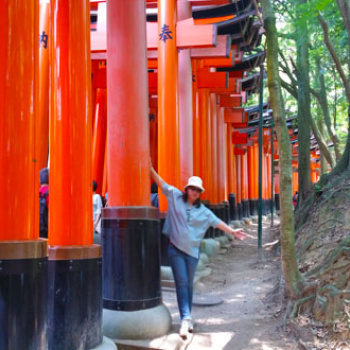 Looking forward to your new travel posts. Take care! Btw, thanks for the visit. God is Great indeed! This is an awesome post you have. The Food,No matter what it is look like,its still eneteresting and am willing to try. And very good idea of the restaurant. I think it's really cool, and you need to get over that pshycological barrier to eat there! Interesting theme restaurant! Maybe I'll give it a try if and when I revisit Taipeh. whoa! i can't imagine eating their chocolate ice cream. this restaurant offers a really different experience. i doubt if it's appealing to everyone though. Meanwhile Blogtrotter> is starting its new adventure in India. Enjoy and have a great week! but i don't imagine myself eating there....really i cant. but for the sake of experiencing.. on the second thought i might give it a try. I read that Modern Toilet also has a branch in Hongkong. 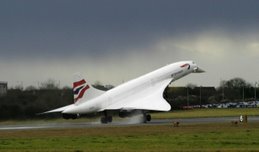 And I'm set to visit them this May. But I don't think I can eat the food in those bowls. Maybe I'll order a drink just for the experience. How was the food? Was it good? 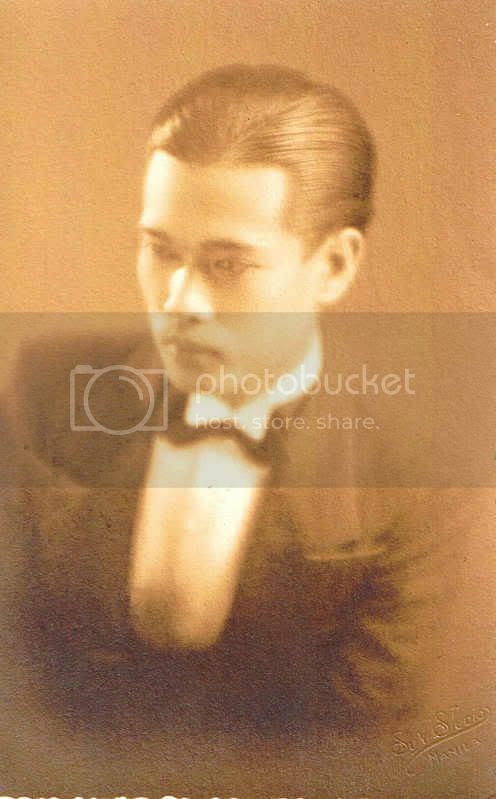 hi, quick question, which branch was closed, the one in shihlin or in ximending? i'm going to taipei in october and would loooove to experience the modern toilet! 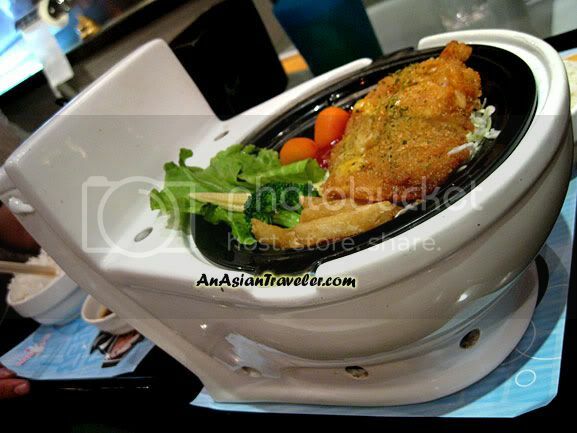 gosh.. i really can't believe there's such a themed restaurant - the toilet bowl serving?? not sure how this a meal will be appetizing but it is quite a hilarious sight.. but the best one has to be the ice cream.. lol!